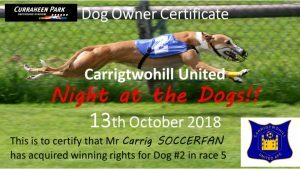 Another way to support the club is to purchase a dog in one of the 11 races on the night and get in on the action with a chance to win €100 if you have a race winner!! 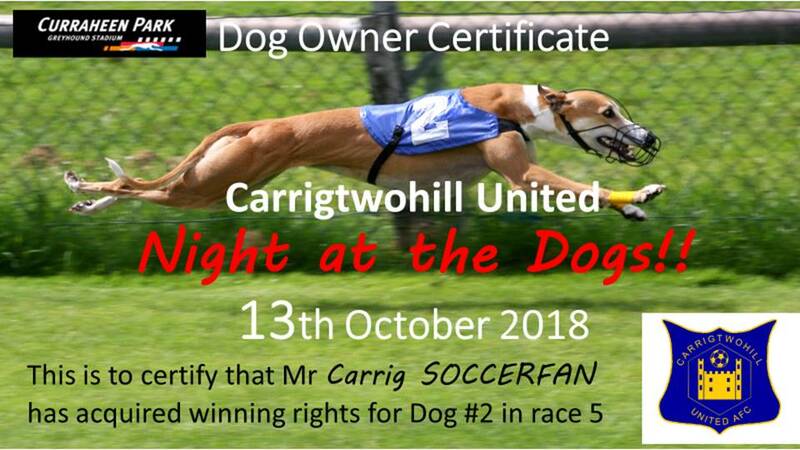 Contact Fred at 0876086457 (call or sms) right away to acquire a potential winner!! Once they are gone, they are gone!!! And remember: they run very fast! !